Tiratricol is an ingredient found in some over the counter weight loss supplements. It can be listed as any one of several different names, including Triac, Acide 3,3’,5-Triiodothyroacétique, Triiodothyroacetic Acid, or 3,3’, 5-triiodothyroacetic acid. While this ingredient can be created by artificial means, it is also a substance that occurs naturally within the human body. It is often found in dietary supplements that are meant to assist people who have thyroid problems, including in cases of people who have thyroid cancer. It is also found in supplements for reducing cellulite and to boost the metabolic rate among people who want to lose weight. 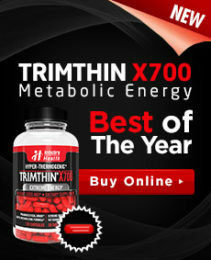 That said, it is important to note that a product that contains this ingredient called Triax (also known as TRIAC or tiratricol) has been deemed as not a dietary supplement but a new drug that has been unapproved by the Food and Drug Administration (FDA) in the U.S. That drug contains a powerful thyroid hormone and it is believed that it comes with the risk of some serious health problems. The product was embargoed by the State of Missouri at Syntrax, its distributor. This caused Pharmatech, its manufacturer in Utah to agree to cease the distribution of any product that contains that substance. Recalls have been issued by the FDA for any other products that are known to contain triactol. In France, this ingredient labeled as a prescription drug and it is primarily used for thyroid disease treatment. While it is believed that tiratricol can enhance the function of the thyroid, it might also be helpful in stimulating bone formation and in reducing cholesterol levels. That said, it has also been deemed likely ineffective for several other purposes, such as weight loss among people whose thyroid function is normal. 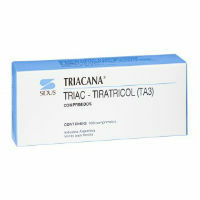 The use of tiratricol comes with a range of different side effects risks, which range from mild to quite severe. It is not advised that anyone with normal thyroid function use this substance, and anyone whose thyroid function is not normal should consult with a doctor before attempting to use any product that contains this ingredient. This substance has also been labeled as unsafe to use by elderly people. It is particularly dangerous among people in that age group who may have heart disease that has gone undiagnosed. The reason is that it has been known to worsen the symptoms of heart disease. This ingredient also conflicts with a number of over the counter and prescription medications.